one-to­-many dependency between subject and observers, so that when subject changes, the observers are notified and updated. Where have I seen it before? Ok, this is cool. What do I need to implement it? 2. Concrete subject and observer class that implement above pattern. A refe­ree (concrete subject) notifies all the play­ers and comm­ent­ators (concrete observ­ers) about changes in the state of a Soccer match. Each player must be notifi­able. you want to save the state of an object so that you can restore it later. Git or any version control system for that matter. A memento makes rollbacks possible. 3. A memento class that holds originator inform­ation that can't be modified by any other class. It is merely a container. A prog­ram­mer (caret­aker) asks for a copy (memento) of the code (origi­nator) he/she is modifying. Later he/she decides he doesn't like the new state of the code so he restores it with the copy it still has. Represent the grammar of a language with a hierar­chical object­-or­iented design. The language is usually a domain specific language. A language must be parsed and interp­reted. 1. A Context class that contains the input. 2. An Abstra­ctE­xpr­ession class, a composite object of terminals and non-te­rmi­nals. 3. The client passes the context to the abstract expres­sion, which calls the interp­ret() function on its children.  A roman numeral (context) is converted into decimal notation by the parser (Abstract Expres­sion). Obse­rver: Possible memory leak; Objects might need to work hard to deduce what changed in the subject. Meme­nto: Copy operation to a memento can be costly for the origin­ator; Caretaker might have large storage costs. Inte­rpr­eter: Complex grammars are hard to maintain and debug.